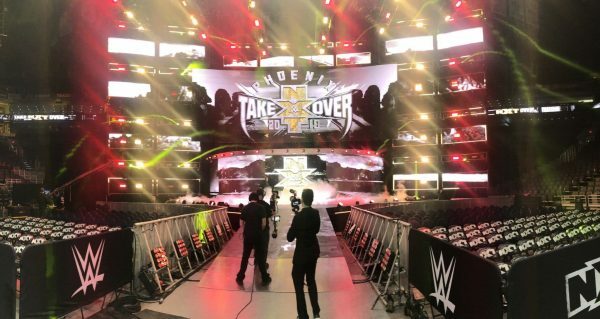 Below is a first-look at the set of tonight’s WWE NXT Takeover: Phoenix event. The show is being held at the Talking Stick Resort Arena in Phoenix, Arizona. The full card is available at this link here. As a reminder, we will be providing live play-by-play coverage of the show at 6PM ET.